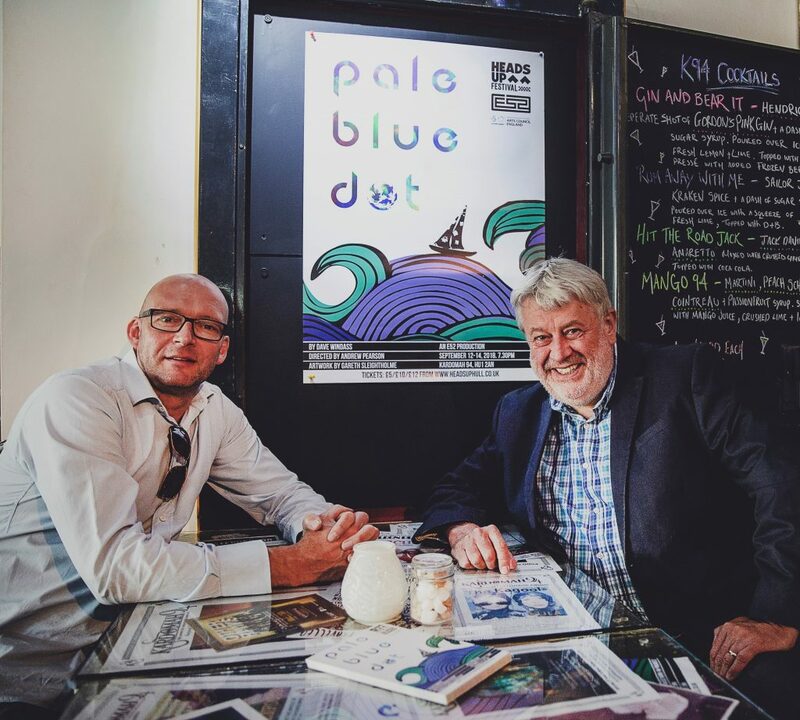 Andy Pearson of E52 (left) and Phil Ascough of Hull and Humber Chamber of Commerce at Kardomah94, venue for the public performances of Pale Blue Dot. Hull and Humber Chamber of Commerce has launched the second round of a fund to support art and culture in the region, and is urging businesses to pledge their backing for the scheme. Money will be generated from the Chamber’s own investments, and the hope is that businesses will make donations to top-up the fund. Former Chamber President Phil Ascough said there may also be opportunities for businesses to adopt art and culture projects which apply for support. Phil said: “The Chamber Culture Fund was launched to commemorate the Chamber’s 180th anniversary and Hull’s status as 2017 UK City of Culture. We made the first award in 2018 and were not surprised to find that demand far exceeded supply. “It’s clear there are many people and organisations working on some wonderful art and culture projects in the Hull and Humber region. We’ll do what we can to support them and it would be great to see individual businesses getting involved as well. Guidance notes and application forms for funding are available from the Chamber and must be returned by midday on Monday 18 March. Shortlisted candidates will be interviewed on Thursday 4 April and will be informed of the outcome by Tuesday 9 April. Phil said: “We have increased the award this year to £4,000 and will also offer advice and mentoring to candidates. We recognise and value the role of art and culture in supporting and developing our communities and we welcome applications from artists and organisations working in any arts discipline within the Hull and Humber region including literature, music, visual art, the performing arts, digital media or any combination of these. In 2018 the Chamber Culture Fund awarded £3,000 to the E52 theatre company for Pale Blue Dot, which combined live performance, original music by The Broken Orchestra, animation and graphic novel artwork. Evaluation compiled by E52 showed that the project provided 110 days of work for a total of 10 local artists and creatives. The eight performance days included two free shows for secondary school audiences and one at the Hull and East Yorkshire Centre for the Deaf. The live audiences totalled nearly 800, with nearly 50,000 people engaging with the performance through broadcast, online and in writing. E52 also used the donation from the Chamber to secure further support from the Arts Council and private sponsors. Be the first to comment on "Bids invited for second round of Chamber Culture Fund"